Definition: The combination of a pure resistance R in ohms and pure capacitance C in Farads is called RC circuit. The capacitor store energy and the resistor connect in series with the capacitor control the charging and discharging of a capacitor.The RC circuit is used in camera flashes, pacemaker, timing circuit etc. The RC signal filters the signals by blocking some frequencies and allowing others to pass through it. It is also called first order RC circuit and is used to filter the signals by passing some frequencies and blocking others.The RC fitlers are mostly use for selecting signals and for rejecting noise. 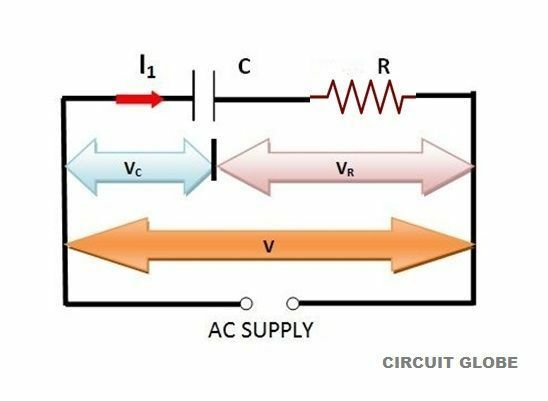 The high-pass filter and the low-pass filter are the most common type of RC filters.The high pass filter passes the frequency greater than the fixed cutoff frequency and blocks the frequency lower than the fixed cutoff frequency. Similarly, the low-pass filter allows the frequency lower than the fixed cutoff frequency and attenuates the frequency higher than the fixed cutoff frequency. A circuit containing resistance and capacitance connected in series together is called an RC series circuit. Voltage drop in resistance is (VR). Voltage drop in capacitive reactance is (VC). by 90° in pure capacitive load circuit). The vector sum of the two voltage drops is equal to the applied voltage (V). 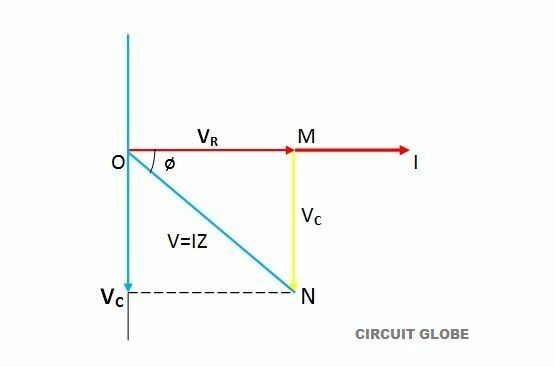 Z is known as the impedance of the circuit and is defined as the total opposition offered to the flow of current in an RC series circuit. It is measured in ohms.